Chronic inflammation in Crohn’s disease is associated with abdominal tumors (peritoneal mesothelioma). The researchers examined data from nearly 3,800 participants with malignant mesothelioma (MM), of which 500 had peritoneal mesothelioma (PM), to look for a possible link with Crohn’s disease. Three of the patients were found to have Crohn’s disease, but only one of them had had any known exposure to asbestos, a known cause of MM. The study then revealed that having Crohn’s disease may increase the risk of developing malignant mesothelioma. The results are significant, because even though MM is quite rare, the numbers of Crohn’s disease patients grow, meaning, the number of MM cases may grow as well. 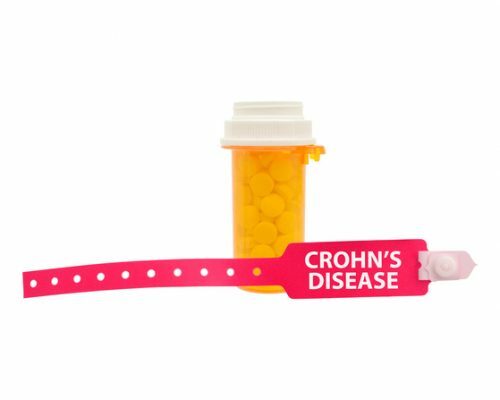 Crohn’s disease does not have an exact cause to target, hence the variety and diversity of treatment methods available. Treatment for Crohn’s disease may include corticosteroids, anti-inflammatory drugs, immunosuppressant agents, antibiotics, biologic agents, nutritional and dietary counseling, stress management, and, in severe Crohn’s disease cases, surgery to remove heavily affected areas of the intestines and colon. Although there is no cure for Crohn’s disease, there are lifestyle and home remedies you can try to get relief from symptoms and better manage the disease. Adjust your diet – dairy products, high-fat foods, high-fiber, spicy foods, caffeine, and alcohol should be limited or avoided. Practice regular relaxation and breathing techniques. Reach out to others with Crohn’s disease for support. Keep yourself informed about new treatment and disease management options. By working closely with your doctor, you can have greater success in treating and managing your Crohn’s disease in order to live a normal life.